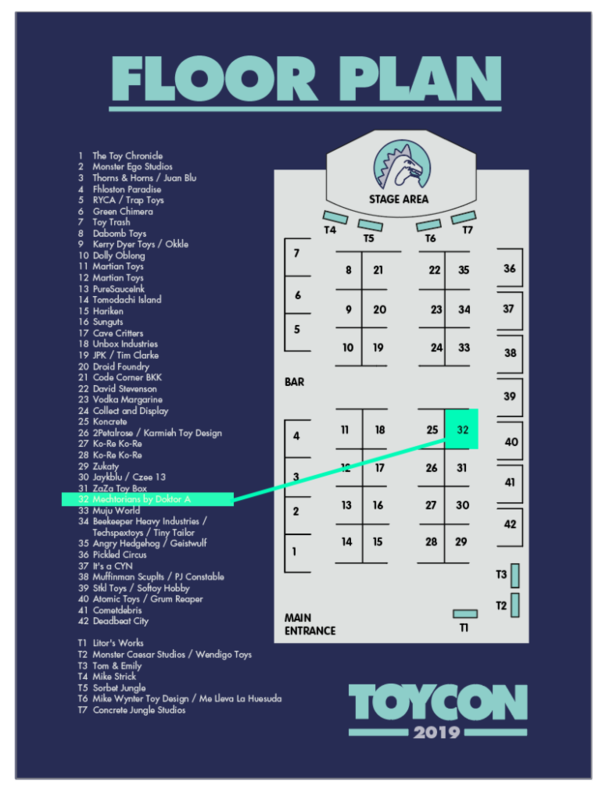 Toy Con is here again, for it’s 7th year. Back at its previous venue of the York Hall in Bethnal Green London on the 30th & 31st of March. This year I have a ton of new painted resin editions, some customised toys and a special mini Dunny edition to share with you. See the following posts for all the details. I also have a different booth placement this year. Booth number 32. One block towards the door from previous years. Opposite the awesome Muju World. Pop over to the official website to book your tickets. This entry was posted on Tuesday, March 26th, 2019 at 11:58 amand is filed under . You can follow any responses to this entry through the RSS 2.0 feed. You can leave a response, or trackback from your own site.